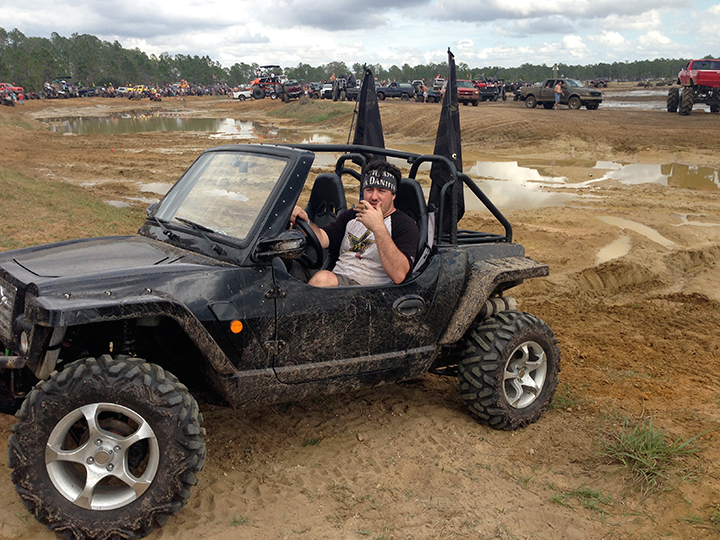 Just got back from a huge event in South Florida at Redneck Yacht Club and can't help it... my kids and I just can't stay out of this thing. Anytime they get close to the garage, its "Bubby? (Buggy), Bubby Daddie Bubby?"... They don't have to twist my are that far before we're all piled in and out on the 300+ acres adjacent my subdivision. Here's a pano of our little slice of off road playground from the top of the hill. Golly I can see all the way to to the I-75 overpass in that photo. Thats one hell of a mountain your on TD! Lol! Might possibly be the highest point in Florida!